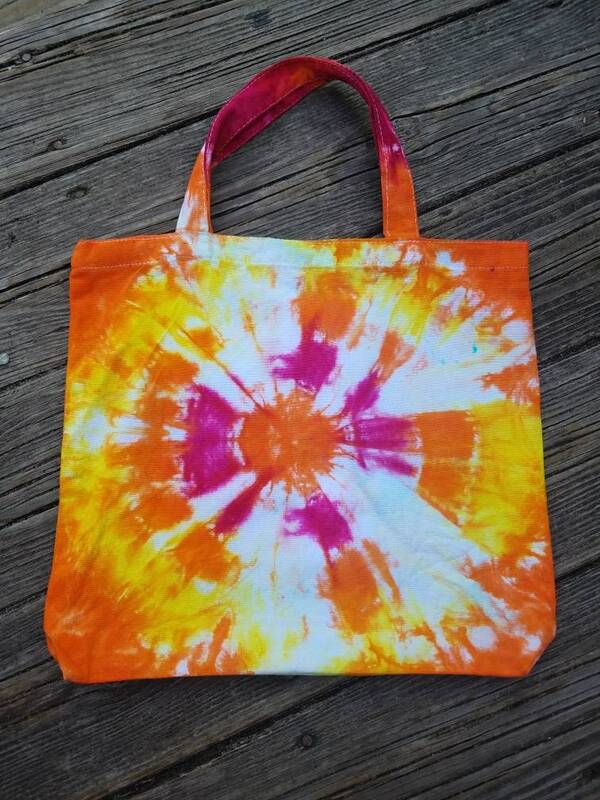 Be the grooviest neighbor on the block with a hand dyed, one of a kind, tie dyed tote bag. Kick those plastic bags to the curb! 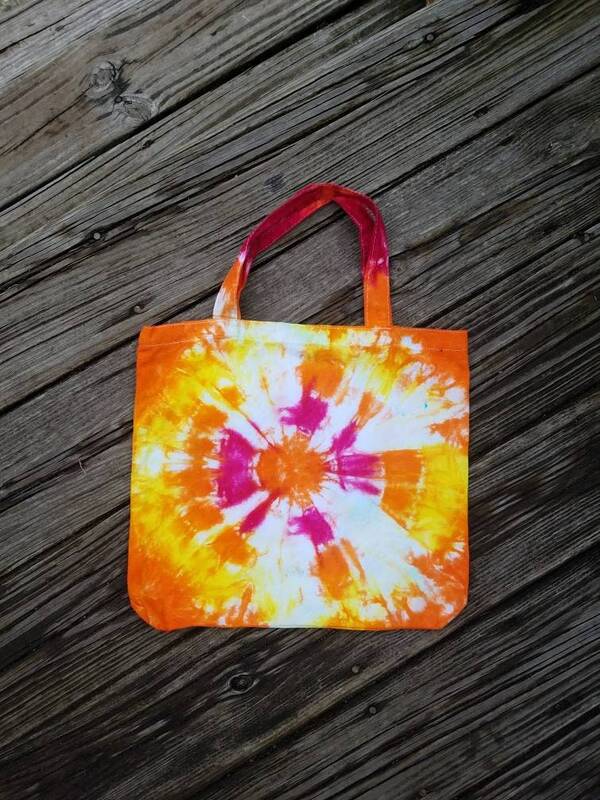 This ain't your momma's tie dye! 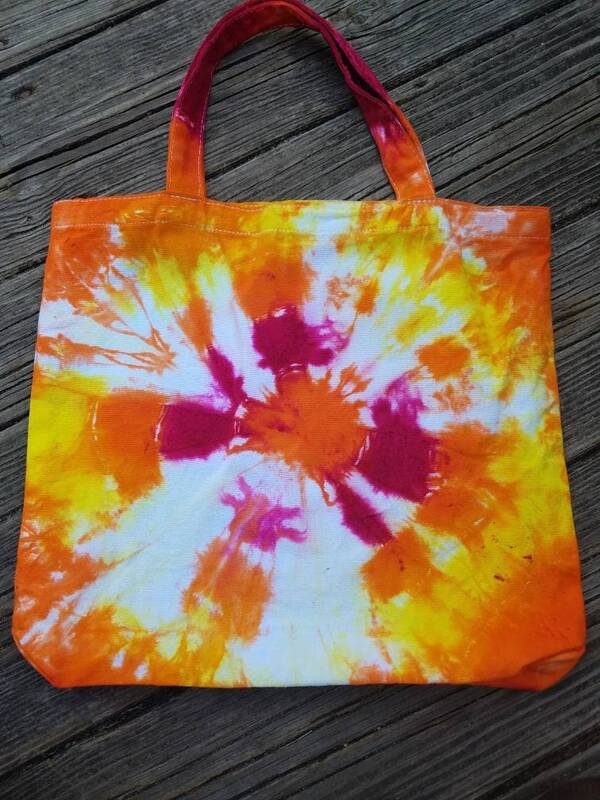 Made from 100% cotton cloth and dyed with fiber reactive dyes. Fiber reactive dyes bond chemically with the fabric instead of just the surface of the fabric so they do not run or fade. Machine wash and dry. Avoid fabric softener and harsh detergents. (Regular laundry soap like Tide is fine). 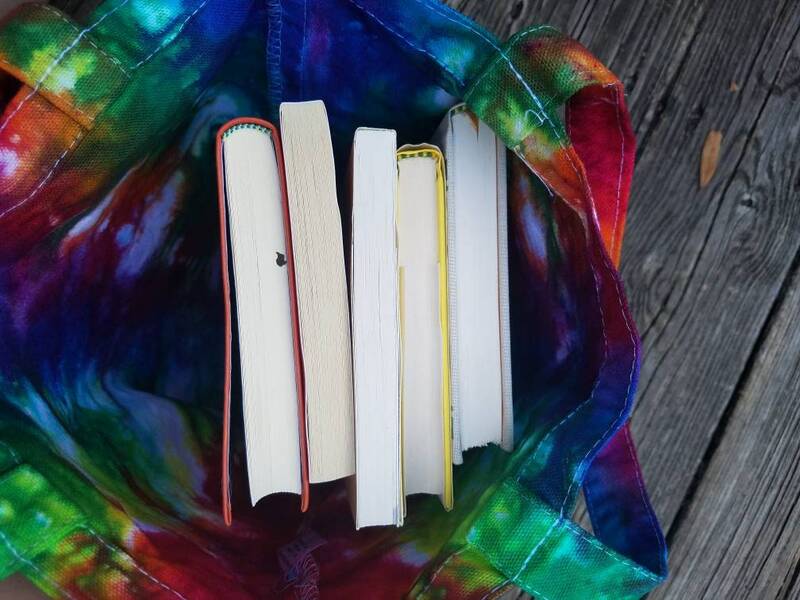 Perfect for carrying books, gym clothes, beach gear and for using at the market. Measures approximately 13 inches by 12 inches. 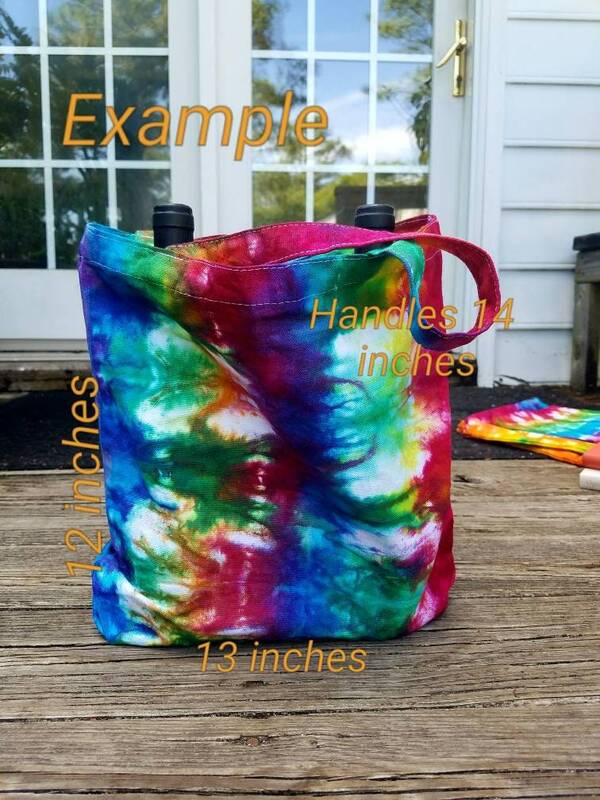 Handles measure approximately 14 by 1 inches long. Folds down easily for storage. 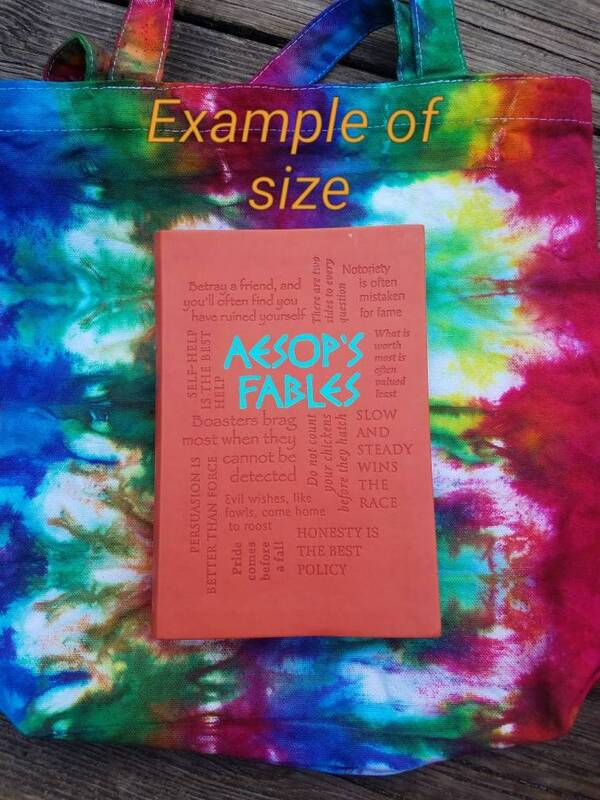 Want something custom? Convo us with details!